The literature review is prepared for the eMedication Passport project and provides an overview of the nursing education in partner countries. In addition, the literature review gives an overview of the research activities carried out in the countries participating before the project. A questionnaire developed in Finland was used to collect research and background data. All partner countries have their own national recommendations that guide the curriculum of a certain school. Curriculums of all partner countries are competence-based and curricula are guided by the requirements of the Directive of European Parliament and Council 2005/36/EU, recognition of professional qualifications, 7.09.2005 cet. Latvia and Lithuania have a national curriculum for nursing education, Estonia and Finland do not. In Finland, Lithuania and Estonia nursing education is a bachelor-level higher education, the undergraduate programme is a 3.5 years full-time course with seven semesters. Bachelor or professional higher education degree requires 210 ECTS (European Credit Transfer and Accumulation System) credits. In Latvia general nurse education is a 1st level of the professional higher education, the undergraduate programme is a 3 years (180 ECTS) full-time course with six semesters. To continue general nurse education, students have the possibility to study for one year at the University, to get bachelor’s degree (60 ECTS). In all countries nurse can continue master’s level studies after graduating with a bachelor’s degree or professional higher education degree. Composition and duration of master’s studies vary from country to country. Average amount of ECTS credits devoted to medication education (incl. pharmacology, medication calculation, medication administration) varies from country to country. For example Finland has 10 ECTS, Estonia has 8 ECTS, Latvia has10 ECTS and Lithuania has 3 ECTS. In Finland, Estonia, Latvia and Lithuania components of medical administration are also included in additional subjects. However, the number of hours is hard to calculate, because medication education subjects are integrated with other subjects (for example medical and surgical nursing). Only Finnish Ministry of Education has given recommendation that a minimum of nine ECTS credits as basis of medication education should be the minimum goal for all of the nursing programmes. Estonia, Latvia and Lithuania don’t have such kind of recommendations. All four countries evaluate medication competence of nursing students using written exam that may include medication calculation. In some cases medication calculation is a separate exam. All countries also use some form of control of practical skills. Estonia, Lithuania and Finland have the same pass rate requirement on medication calculation exam. It is 100% of correct answers. Latvia uses 75% correct answer system. Currently only Lithuania has a national exam to evaluate medication education, but Finland also in process of developing it. In conclusion medication education of nurses varies quite a lot in partner countries. It’s not possible to evaluate conclusively the amount and sufficiency of medication education based on available data. There are no national guidelines for minimum requirements for acquiring proficiency, except in Finland. In Estonia, Latvia, and Lithuania no research has been done to evaluate the issue. In Latvia and Lithuania there weren`t carried out any researches of nursing students medication competences. In Estonia, one research has been carried out to describe drug-related knowledge and skills, as well as the level of risk of medication errors of second and fourth year nursing students at Tartu Health Care College, and to clarify links between students’ background factors, their knowledge, skills, and the level of risk of drug-related errors (Bruus 2016). The research consisted of two study phases. In the first phase, 92 second year students participated. The aim of this part was to describe the drug-related skills and knowledge of the II years students` in Tartu Health Care College and to determine correlations between nursing students` skills and knowledge and their socio-demographic characters. In the second phase, 71 fourth year students participated, who had previously been involved in the first phase (Bruus 2016). To conduct the research, in both phases the three-part multiple-choice test of Simonsen et al (2011) was used. The questionnaire was translated by an official translator from Norwegian to Estonian. Before the final data collection, the test was adapted and modified by lectures of Tartu Health Care College so that it would be suitable for use in Estonian context. In addition to questions regarding medication knowledge or skills, the test included another question after each individual question, in which the participants had to self-assess how certain they were of the correctness of their answer, using four categories in a Likert scale. Based on the answer about medication knowledge and skills, given by the student, and on their certainty rating, the risk level of errors was calculated: low risk = high certainty; average risk = low certainty; high risk = high certainty. In the first part of the test, there were 14 questions about drug dose calculation, the second part consisted of 14 questions assessing pharmacology-related knowledge, and the third part involved 14 questions regarding drug management (Bruus et al 2014, Bruus 2016). The results revealed that regarding drug management, knowledge and skills of non-Estonian students (n = 13) are worse than those of Estonian students (n = 79). The risk of making medication errors among second year students with a high grade in the pharmacology exam was lower than among students with a low grade. However, among fourth year students, there was no link between the pharmacology exam score and students’ knowledge, skills and the risk of medication errors. When comparing the second and fourth year students’ skills in calculating drug dose, it turned out that fourth year nursing students’ skills in it were better than those of second year students, and the risk of making mistakes when calculating drug doses was higher for second year students When comparing pharmacology knowledge of the second and fourth year students, it became evident that fourth year students had a higher risk of making errors than second year students. In drug management, knowledge and skills of second and fourth year students do not differ (Bruus 2016). As a result of the research, it was concluded that the students’ knowledge and skills for safe drug administration are inadequate and fragmented, there is a significant risk for medication error, and a real risk of consequent danger to patients’ health. (Bruus 2016). For improving nursing student´s drug-related knowledge and skills it is important to think about and look over the teaching and learning strategies (Bruus et al 2014). In Finland there were carried out many researches (doctorate, master and bachelor degree level) related to nursing students’ medication competences. Two limitations were made: only doctorate and master level studies was accepted and time limitation of twenty years was set for this overview. Students perceived their skills in medication administration as moderate in Räisänen and Salmela (2004) studies. However, in the two studies the competence of students was not evaluated. In Murtola study (1999) on 68 % of the 332 graduating nursing students solved all seven calculations correctly. The students had adequate knowledge on basic pharmacological concepts, but less knowledge on legislations. In Grandell-Niemi et al. study (2001) graduating nursing students (n=180) only one student achieved 100 % correct out of 17 calculations, average score was not reported. In later study (Grandell-Niemi et al 2006) nursing students (n=283) average score was 61 % correct in numeracy and medication calculation test (29 calculations). In Tuomi (2014) study, nursing students (n=106) average score was 75 % out of maximum points in a calculation test including 10 calculations. None of the students scored 100 % correct. In pharmacology knowledge test students’ (n=283) average score was 68 % correct. Academic success, age and perception of mathematics and /or pharmacology as easy has been associated with the results on test on medication calculations (Grandell-Niemi 2005, Tuomi 2014) and in pharmacology knowledge test (Grandell-Niemi 2005). In Hakkarainen 2011 (n=75) study, nursing students considered that with respect to drug therapy they had learned best the theoretical knowledge in relation to dosing medicines through natural route and small medicinal treatments while knowledge in relation to blood transfusion and dosing drugs and fluids through iv-line was considered as poorest learned. Theoretical knowledge of clinical nursing and drug therapy were considered important in clinical practice. In Sulosaari (2016) study the average result in the overall medication competence evaluation of nursing students (n=666) was 70% correct answers over the semesters, 68% for the 2nd semester (n=328) and 72% for 7th semester students (n=338). The nursing students achieved on average 72% correct answers in a knowledge test, in medication calculation tasks 74%, and in patient vignettes 57% correct answers in deciding the best possible solution. However, the minimum acceptable score was achieved by 84 % of the students. The core elements of medication competence were significantly interrelated (Sulosaari et al. 2016). Based on the results, the explanatory value of individual factors on students’ medication competence was most evident. There was a difference between the students at the beginning and end of education. At the beginning students’ previous academic success had a stronger association with medication competence, while at the end of the education students’ abilities in self-regulated learning and study motivation were more significant factors. (Sulosaari 2016). Bruus I., Animägi, L., Keidong, K., Borodina, J. (2014) The drug-related knowledge and skills of 2dn year nursing students in Tartu Health Care College. Collections of Applied Researches VIII (24 – 45). Bruus, I (2016). The drug-related knowledge, skills and risk of drug related mistakes of 2nd and 4th year nursing students in Tartu Health Care College. Presentation in Tartu Health Care Conference (24.11.2016). Grandell-Niemi H, Hupli M & Leino-Kilpi H. (2001) Medication calculation skills of graduating nursing students in Finland. Advances in Health Sciences Education 6(1), 15-24. Grandell-Niemi H. (2005) The medication calculation skills of nursing students and nurses. Doctoral thesis. Annales Universitatis Turkuensis D682. Turku, Finland. Grandell-Niemi H, Hupli M, Leino-Kilpi H & Puukka P. (2005) Finnish nurses´ and nursing students´ pharmacological skills. Journal of Clinical Nursing 14(6), 685-694. Grandell-Niemi H, Hupli M, Puukka P & Leino-Kilpi H. (2006) Finnish nurses´ and nursing students´ mathematical skills. Nurse Education Today 26(2), 151-161. Hakkaraine T (2011) Student nurses’ theoretical knowledge of clinical nursing and a drug therapy in their clinical training. Master’s thesis. Nursing Science. Turku, Finland. In Finnish (English summary). Murtola E (1999) Medication Skills. Evaluation of Newly-qualified Nurses’ and Public Health Nurses’ Medication Skills. Licentiate Dissertation. 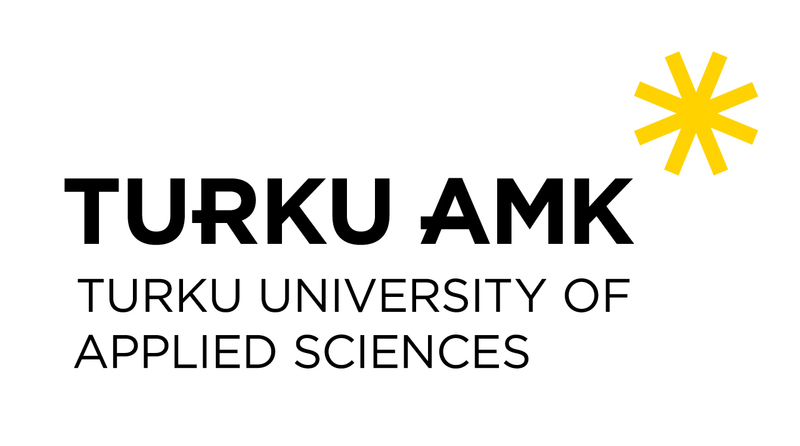 University of Turku. Department of Nursing Science. Räisänen A (2002). Hoitotyöntekijöiksi valmistuvien osaaminen. Vertailututkimus opistoasteelta ja ammattikorkeakoulusta valmistuvien hoitotyöntekijöiden hoitotyön toimintojen hallinnasta. Annales Universitatis Turkuensis C178. Turku, Finland. In Finnish (English summary). Sulosaari V, Huupponen R, Torniainen K, Hupli, M, Puukka P & Leino-Kilpi H. (2014) Medication education in nursing programmes in Finland– findings from a national survey. Collegian: The Australian Journal of Nursing Practice, Scholarship and Research 21 (4), 327-335. Sulosaari V, Huupponen R, Hupli M, Puukka P, Torniainen K & Leino-Kilpi H. (2015) Factors associated with nursing students’ medication competence at the beginning and end of their education. BMC Medical Education 15(1), 223. Sulosaari V. 2016. Medication competence of nursing students in Finland. Doctoral dissertation. Turku University Annales Universitatis Turkuensis D1232. Turku, Finland. Tuomi H (2014) Medication calculation skills of nursing students. Master’s thesis. Nursing Science. Kuopio, Finland. In Finnish (English summary). Project “The eMedication Passport – cultural adaptation of learning tool for ensuring the development of medication competence of graduate nurses” is co-funded by the Erasmus+ programme of the European Union and takes place within 1.09.2017 – 31.08.2020.
eMedication-Passport project team wishes all of our followers a merry christmas! eMed-PASS project aim is to improve the quality and relevance of higher education in bachelor level nurse education cross-borders in EU-level in the Baltic countries and Finland. The project supports objectives of the Europe 2020 Strategy and EU Health Strategy Together for Health, by responding to the medication and patient safety challenges faced by member countries through strengthening the cooperation and coordination among universities and registering of nurses’ medication competence development during undergraduate education. The need for developing common education and nursing competence is evident in each of the partner countries. During the project e-learning materials about medication administration will be developed in Estonian, Latvian, Lithuanian, Finnish and English language. The educational materials will be interoperable – so that other countries can also integrate it into its teaching process in the future. The expected impact of the project is improvement on nursing students’ medication competence and increased collaboration among education institution and clinical practice placements.